TWICE seem to be making a big mark at KCON LA, where they are reportedly the hit attraction at the convention. 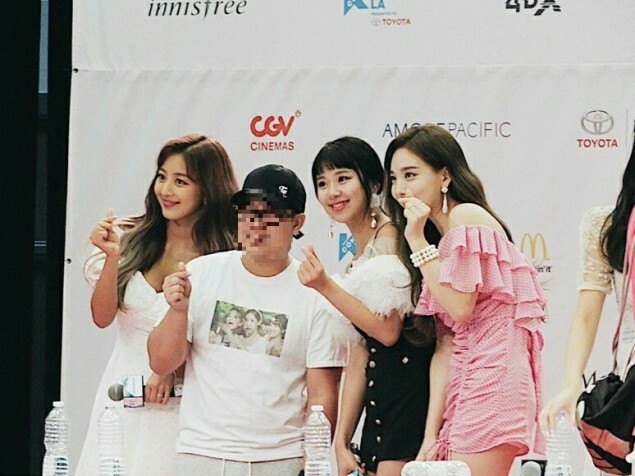 At a hi-touch session, one of the fans passed by, and made Chaeyoung and Nayeon burst into laughter. This is from Nayeon’s ‘ice chipmunk’ scene from when TWICE accepted the challenge to sing with ice stuffed in their cheeks if they won #1. The fan has touched the members’ hearts with this outfit. How far would you go to get your idol’s attention?